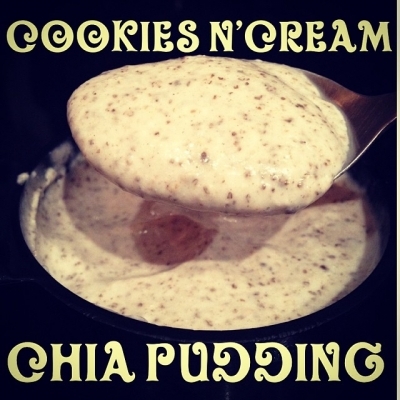 Cookies n'Cream Chia Pudding: 1C cottage cheese, 1C almond milk, 1T coconut oil, 3T chia seeds, 1 scoop cookies n'cream casein, 2T unsweetened shredded coconut. Mix all ingredients in a VitaMix and refrigerate (preferably overnight). Makes 2 servings.